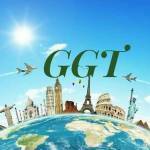 Welcome to Greater Guide Travels!!! I am a Travel Agent Consultant who will enjoy assisting you with your traveling needs. Go and check out my Web page GreaterGuideTravels.paycation.com. GGT business is to develop, support and provide the highest level of service delivering efficient detailed travel planning while generating savings. We believe that consistent with customers, vendors, and community will result in a good rapport.